“But God hath revealed them unto us by his Spirit: for the Spirit searcheth all things, yea, the deep things of God,” (1 Corinthians 2:10). “Now we have received, not the spirit of the world, but the spirit which is of God; that we might know the things that are freely given to us of God” (1 Corinthians 2:12). The Bible is filled with truth, not just any truth but God’s truth. In the Bible from Genesis to Revelation, the word truth is used two hundred twenty-four times. The Bible is a tangible tool to know the truth. Truth is one of Satan’s greatest enemies and one of our biggest assets; nevertheless, lies are more appealing to the carnal world. God wants us to know the truth. John 8:32 reveals, “And ye shall know the truth, and the truth shall make you free.” Lies are like chains. 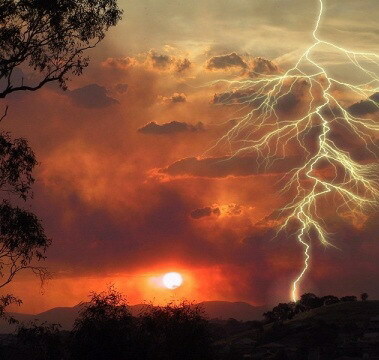 They bind up the heart and mind; they are confusing; they are blinding; they are confining. But, God’s truth is freeing. It opens the door of a locked prison cell and sets the sin-captive person free. God’s truth is revealing. It exposes our sins, even the sins we thought were well hidden. Thankfully, if we confess our sins, God is willing to forgive us and help us overcome what is holding us in darkness. Truth helps us return to our walk of fellowship with God when we have strayed. Furthermore, even though one may deny the truths found in God’s Word, it does not lessen these truths. God’s perfect plan is for the Holy Spirit to lead us to all truth, and He carries out this task with perfection. 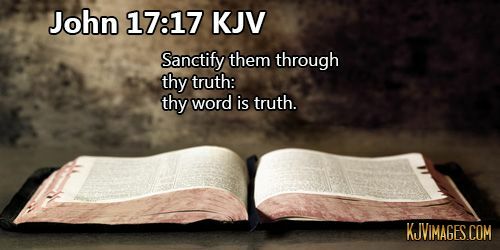 REFLECTION: “Sanctify them through thy truth: thy word is truth” (John 17:17). This entry was posted in Bible, Daily Devotion, The Holy Spirit is truth and tagged faith, Sanctify, truth. Bookmark the permalink.